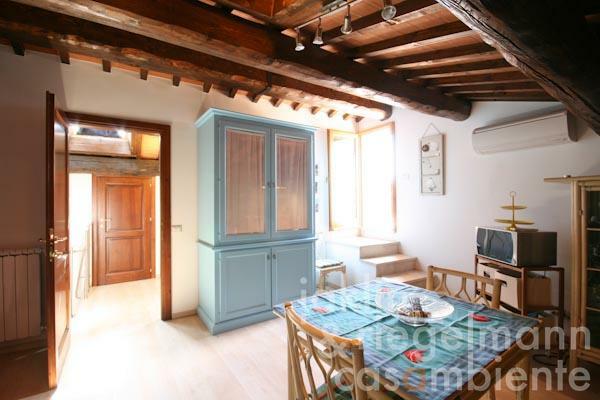 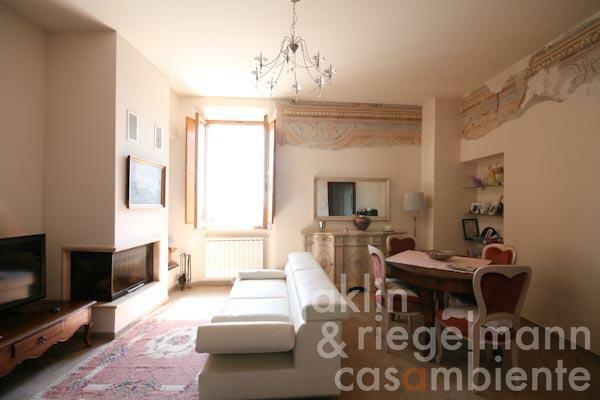 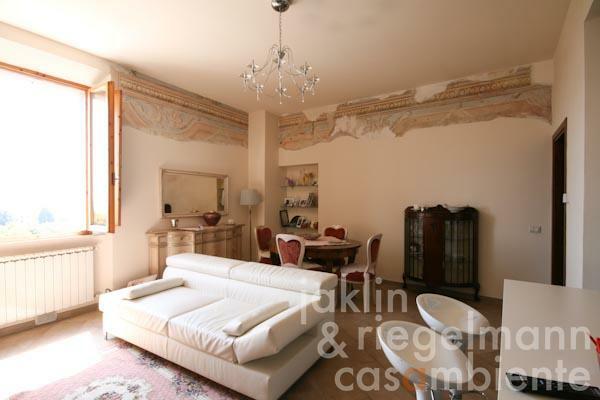 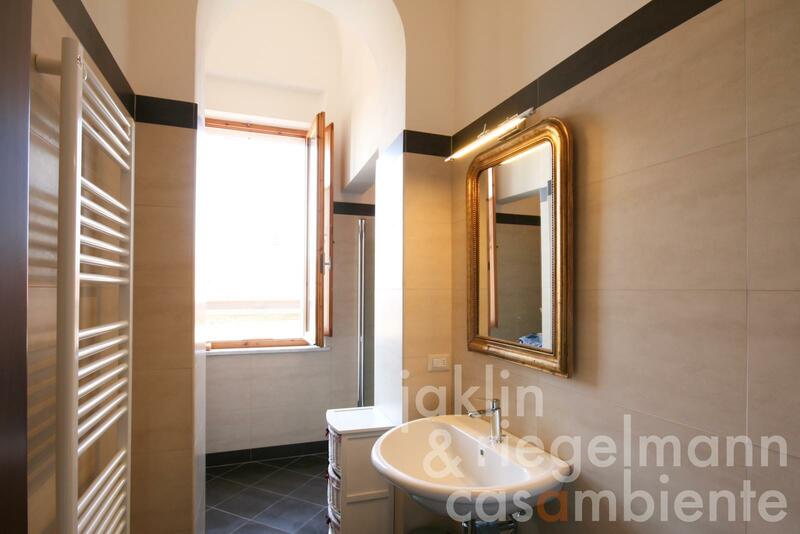 Beautifully restored apartment with roof-deck on the second and third floor of an old Palazzo in the historic centre of Sinalunga in Tuscany for sale. 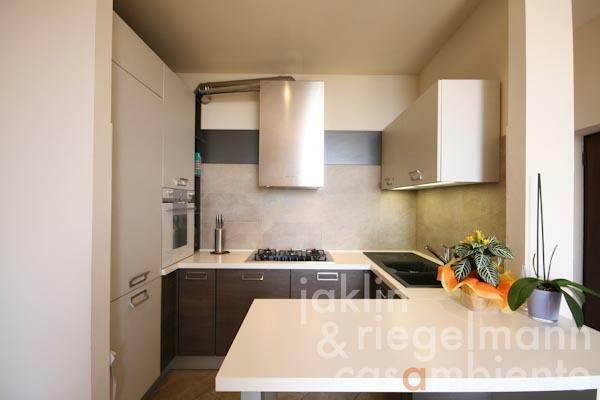 The apartment features a living area with fireplace and modern kitchen, two bedrooms and two bathrooms, one of which en-suite, on the second floor. 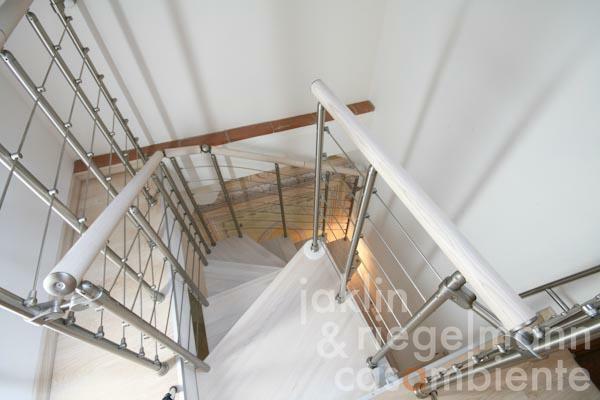 A spiral staircase leads to the third floor with a third future bedroom and a bathroom. 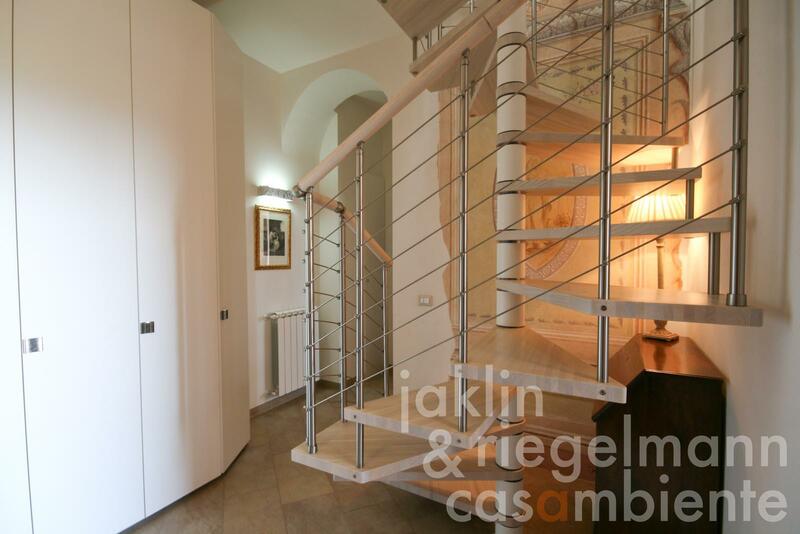 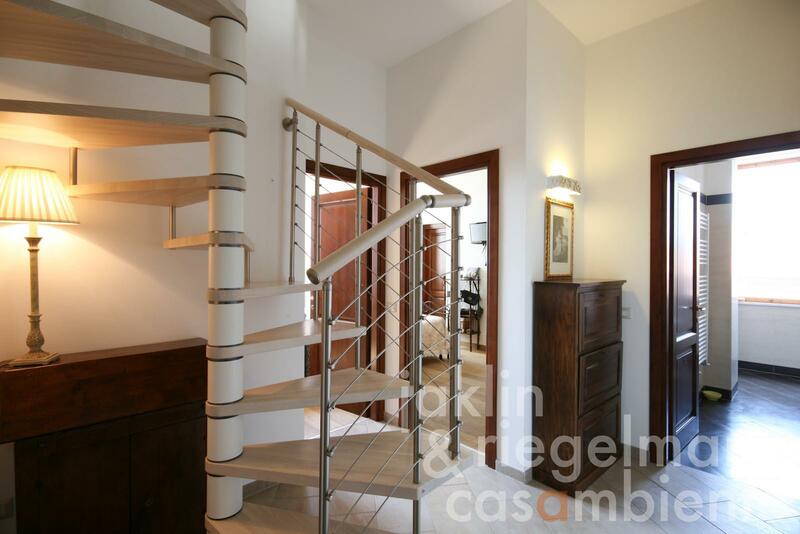 A few stairs lead to a roof-terrace with panoramic views across the town Sinalunga and the Val di Chiana valley. 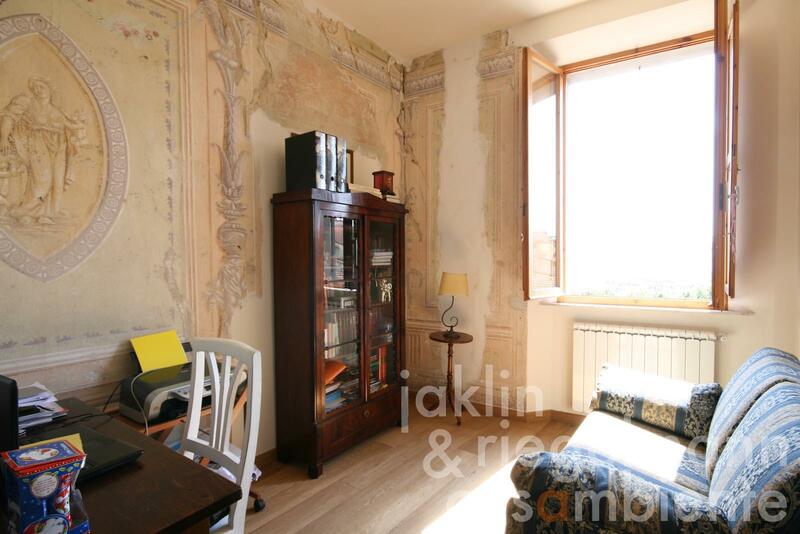 A rare feature are several restored frescoes in the living room and in the two bedrooms on the second floor. 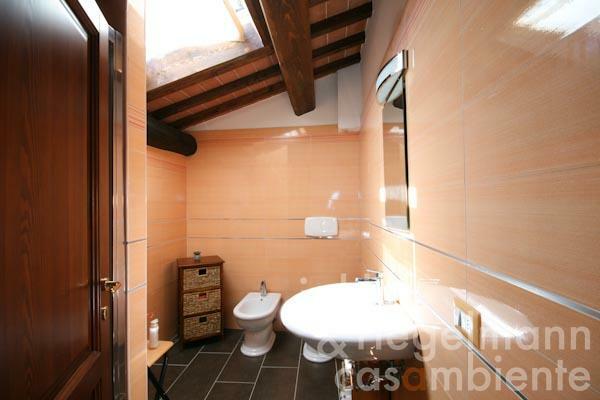 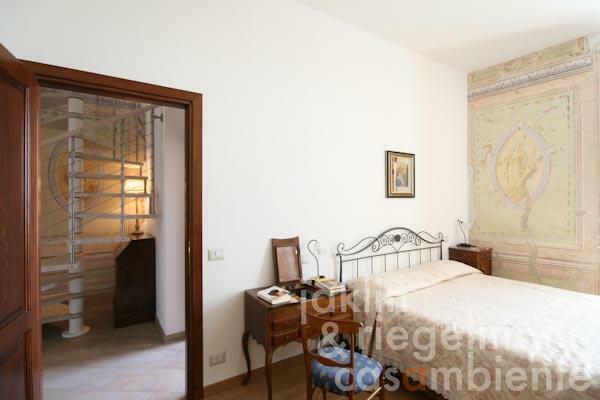 The flooring is made of tiles throughout, all bedrooms are held in parquet. 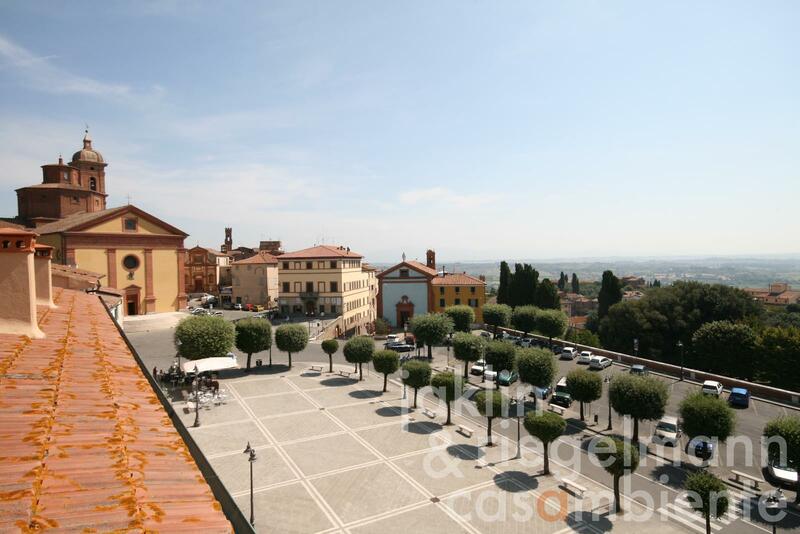 The town Sinalunga offers all shopping facilities, the motorway Florence-Rome and the highway Siena-Perugia can be easily reached. 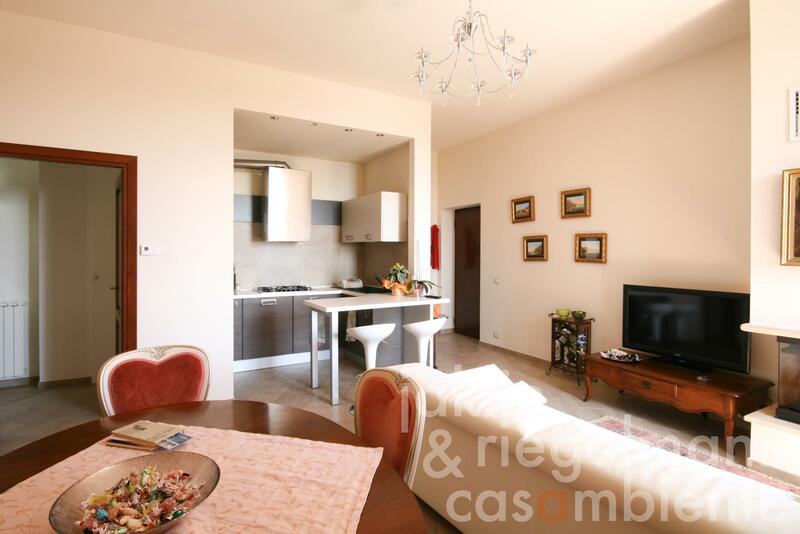 Electricity, mains water, central heating, fireplace, gas connection, telephone, broadband internet access, satellite-TV, roof-deck, furnished.